Welcome to my blog Always Crafting! This is my very first post. 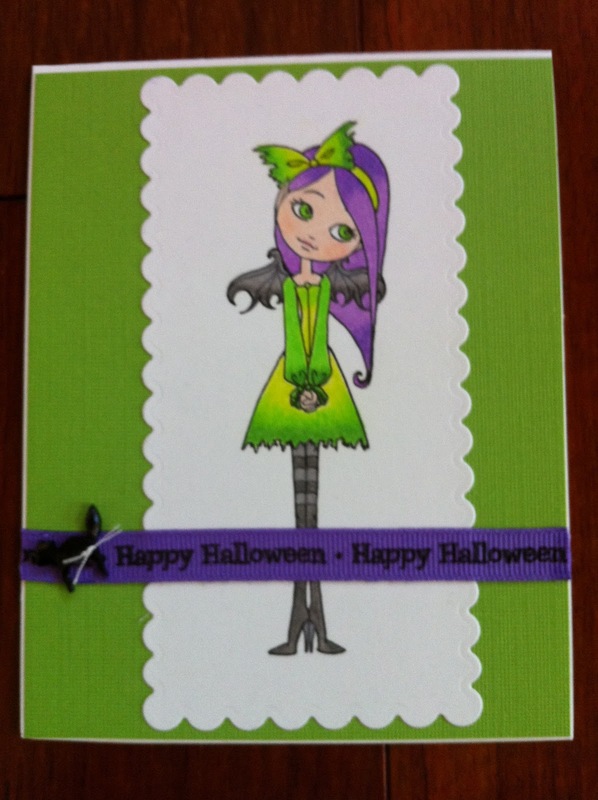 It's Halloween time so decorating and sending out cards to family and friends is well under way. Here is a card I made from one of my favorite Halloween stamps. It is Twisted Sister Oleander by Sweet November. You can get this stamp here. I added a cat button and a bit of ribbon to add some dimension to this simple card.